December | 2014 | "It's Only Nuts & Bolts"
In my room at the hotel the owners had left a small history of the local area. There were a number of places which seemed interesting to visit but one that stood out to me as a must. A short distance from New Norfolk is the small village of Lawitta in whose church yard is the grave of Elizabeth (Thackery) King. 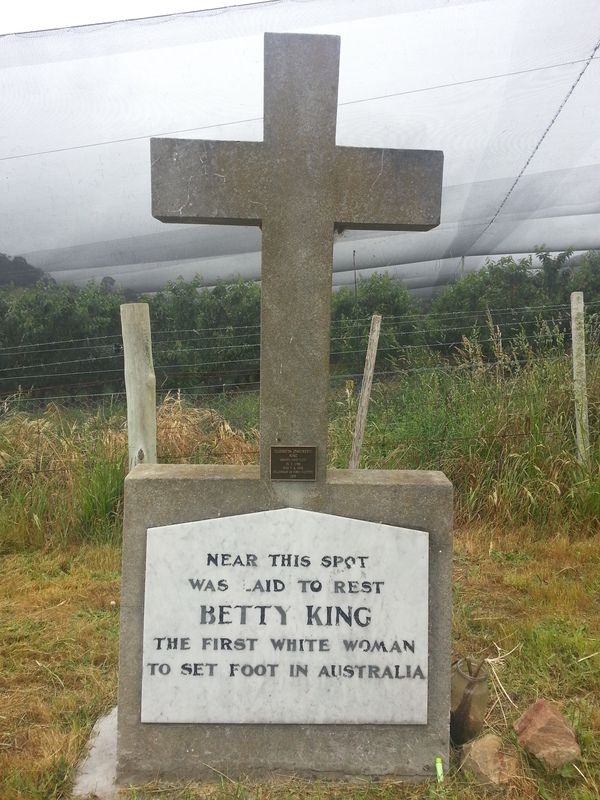 Betty, as she was known, died in 1856 at the age of 90 and has gone down in history as the first white women to step foot in Australia. Although there is no documentary evidence to prove this statement, she always told the story that by the time the convict ship Charlotte, on which she was travelling, arrived in Botany Bay she was working as a maid to the officers wives. It was the wives who were to leave the ship first but they didn’t like the look of the rough surf and so sent Betty out to make sure it was safe. 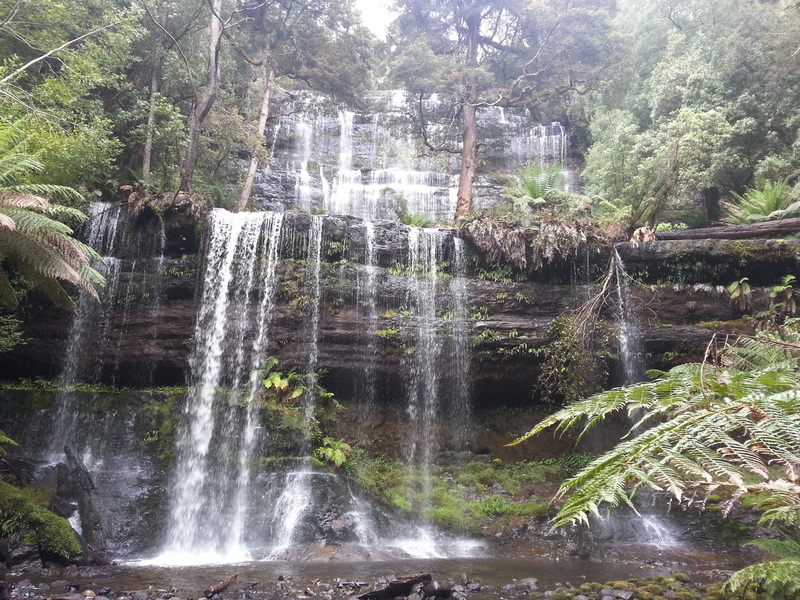 So far during my trip to Tasmania I have spent my time visiting the built environment, now I thought I should see some of the natural and so headed north west to Mount Field National Park and the Russell Falls. Having parked up at the visitors centre I follow the leisurely path to the base of the falls. 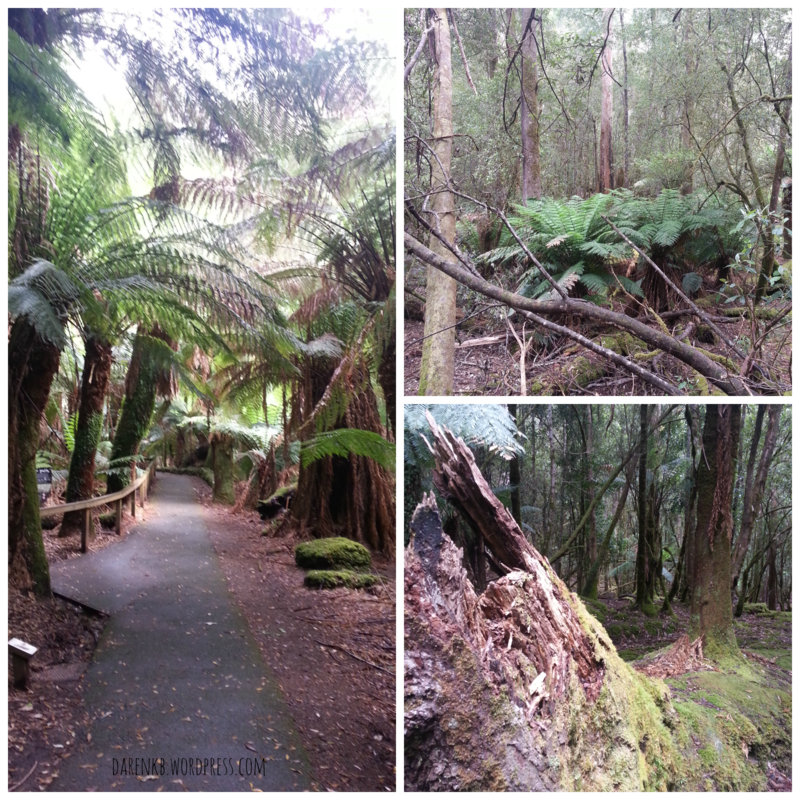 The path is lined by some incredible trees and tree ferns. Where a tree has fallen you can almost see it rotting back into the earth, covered in moss it begins to blend into the surrounding plants. At one point on the path there are signs to say if you are walking through at night, turn off your torch, allow your eyes to adjust and then enjoy the glow worms which will light the way for you. At the end of the path are the Russell Falls which are truly wonderful to see. The pictures I took really don’t do them justice. From the bottom of Russell Falls I followed a very steep path to the top. For most of the climb you follow a boardwalk which staircases to take you up the side of the rock face. The walk was tough but I found myself thanking the people who had built the path and wondering how they managed to do so. The view from the top was amazing; watching the water disappearing into the abyss. A little further on the path are the Horseshoe Falls, which if anything are even more beautiful. Having returned to the Visitors Centre I decided to jump back in the car and take the gravel road up the mountain. I drove higher and higher for about 45 minutes with the landscape changing considerably the higher I went. At the highest point I drove, time didn’t allow me to go further although I would certainly have liked too, was Lake Fenton. The river had been damned off to form the lake which was part of the drinking water catchment for Hobart and the surrounding areas. The road, called the Lake Dobson Road, was built as part of a job creation scheme during the depression of the 1930’s. It is hard to imagine just how difficult it was to constructed, but still easier than it would have been in years gone by for convict labour in their heavy chains. Time was beginning to run short as I needed to get to the airport for my flight back to Sydney. However, there was one further building I wanted to take a look at before leaving. I had read about the Willow Court Asylum, New Norfolk, in the information pack at the hotel and it was on my way. Although not currently open to the public due to a major renovation project I was pleased to have a look, albeit a very limited view. Maybe during a future visit I may be able to stay there as they are turning some of the rooms into hotel accommodation. I have really enjoyed my visit to Tasmania, with the time flying by. Although I have crammed loads in there is still a huge amount to see and so I find it hard to think that I wont be back at some time in the future. 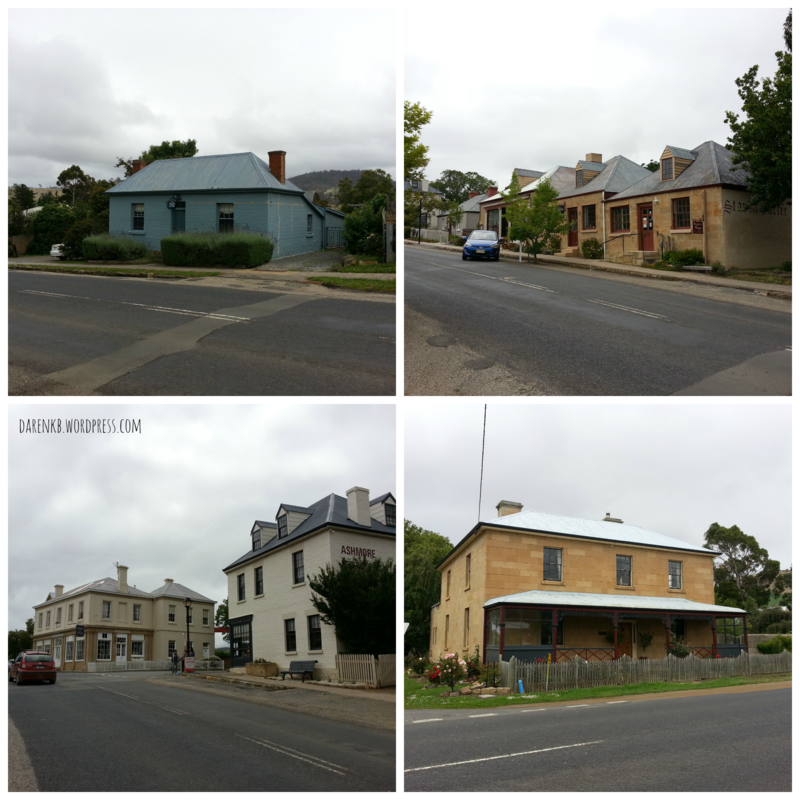 Today I was heading back to Port Arthur, but with a stop or two along the way. When I first arrived at the convict site yesterday it was my intention to only spend the day, even though the entry price did cover for two. However, there is far too much to see so a second visit was essential. On my way from the hotel in New Norfolk I had passed through the small town of Richmond, but with a final destination very much in mind I didn’t stop; today was my opportunity to have a look around. As you drive into Richmond the old colonial buildings are everywhere to see; it was these that had caught my eye. You get a real feeling of stepping back in time. I only intended to have a walk along the main street to take a closer look at the various houses and shops, but on pulling into a space in the public car park I noticed a sign for the town jail which seemed too interesting to ignore. Richmond Goal was built in 1825 to house the convict labour which was being brought to the area to build the roads and bridges needed to help colonise the lands in the surrounding countryside. This small jail housed both men and women prisoners as well as their guards. 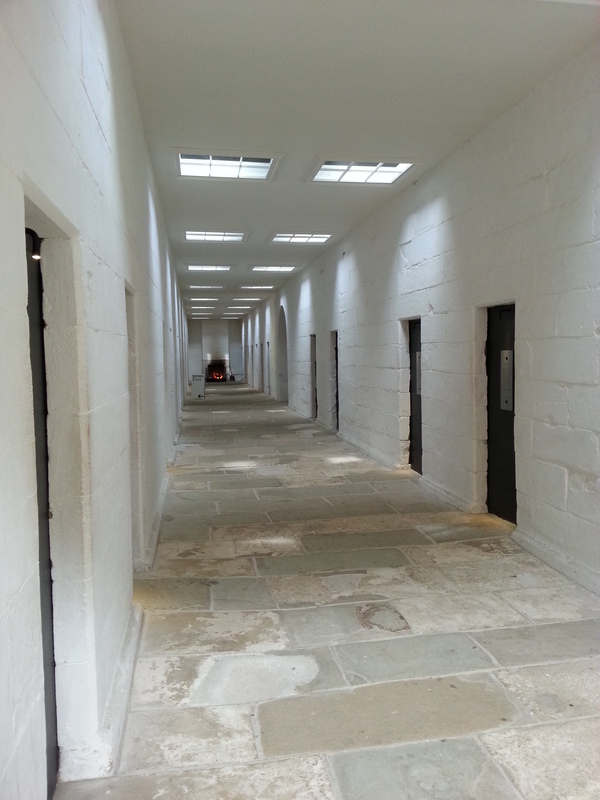 Originally everybody was in a single building but as the needs of the area grew so did the prison eventually having buildings on all fours sides on the central court yard. Richmond Goal is a wonderfully preserved group of building which provide a real sense of times past. The entrance in particular provided that passageway from now back in time. There are many stories of the people who spent time here including Ikey Solomon who it is said was the inspiration behind the Charles Dickens character Fagin in Oliver Twist. Ikey, it seems, was also happy to “pick a pocket or two” resulting in him ending up in Tasmania. 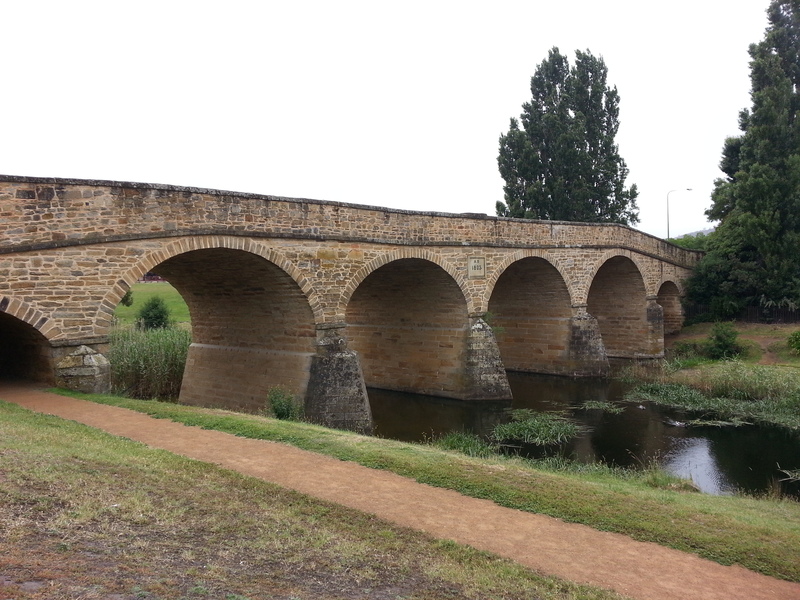 As you drive out of town you cross this magnificent stone bridge. A small sign fixed to the side, which I had seen during my earlier walk, says …..
From Richmond it was back to Port Arthur and the opportunity to explore the remaining buildings on the site. As you enter the historic site of Port Arthur your eye is immediately drawn to the main penitentiary building which is straight ahead across the large expanse of lawn. Behind are the Separate Prison, Asylum, William Smith O’Brien’s cottage and various barrack buildings which housed the guards. Off to the left are the open waters of the bay and the Island of the Dead. But today I was heading left up to the little row of cottages which originally housed the more senior administrative staff, later being purchased by private individuals as part of the Carnarvon settlement. The buildings had a number of uses as homes, boarding houses, shops and the communities Post Office, undergoing modifications as their use changed and the environment took its toll. Port Arthur suffered a number of devastating bush fires which resulted in at least one of the houses shrinking from two stories to one. 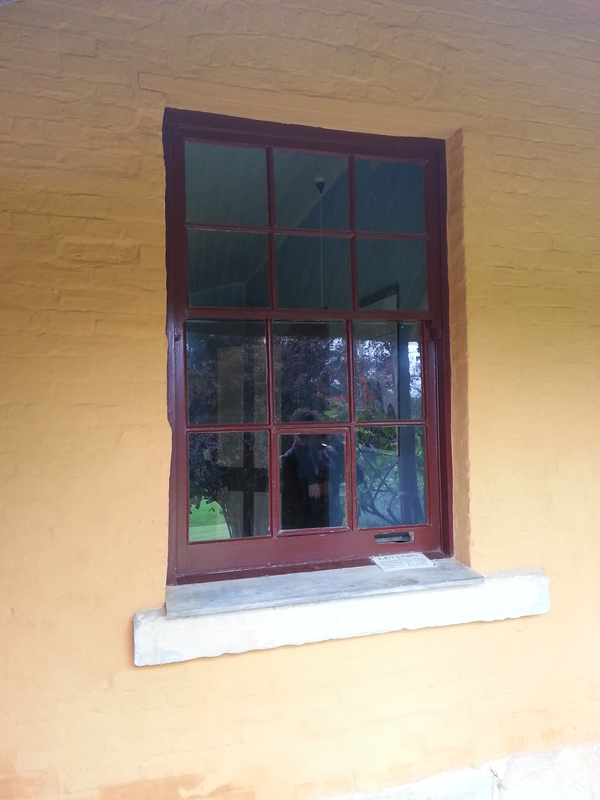 One of the houses became the settlements Post Office and telephone exchange, a slot in the base of a front window was used as a post box for letters to be collected and sent far and wide. 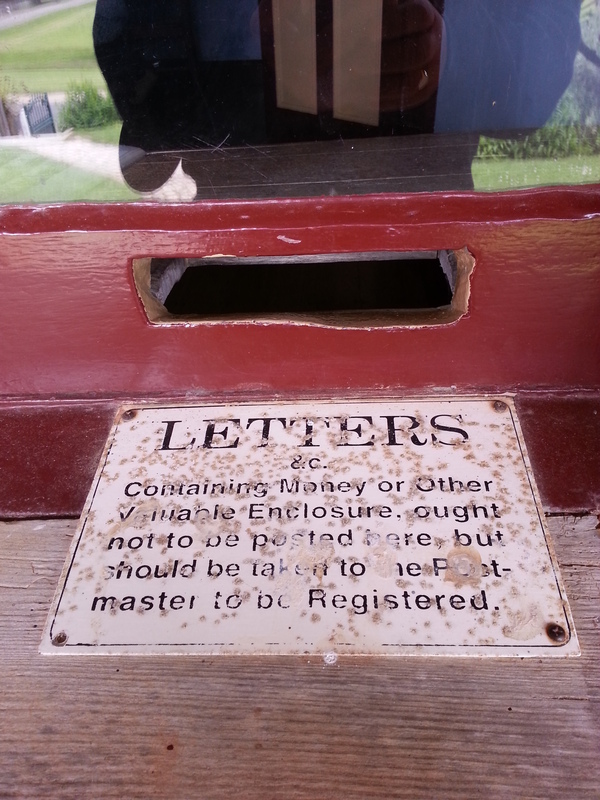 A notice under the slot warns the user not to post letters containing valuable items but instead to hand them directly to the Post Master so they can be registered. Right of the houses is a magnificent church ruin. This church had been used for many years by convicts and free men alike, but was not consecrated as it was used by all denominations, at first all together. That was until one protestant clergyman decided all that was wrong in the world was as a result of the Roman Catholic Church and proceeded to preach against it. The catholic prisoners subsequently refused to leave their cells for the mandatory church services, but rather than force them out they were allowed to remain as long as the time was spent in prayer, reflection and where possible bible reading. After a short time a catholic priest was employed to administer to their needs allowing separate services to take place in the church. A sign of the importance with which religion was held; the new priest received a salary higher than that of the colonies governor! Further to the right of the church are the ruins of Government Cottage with the restored gardens stretching out in front. 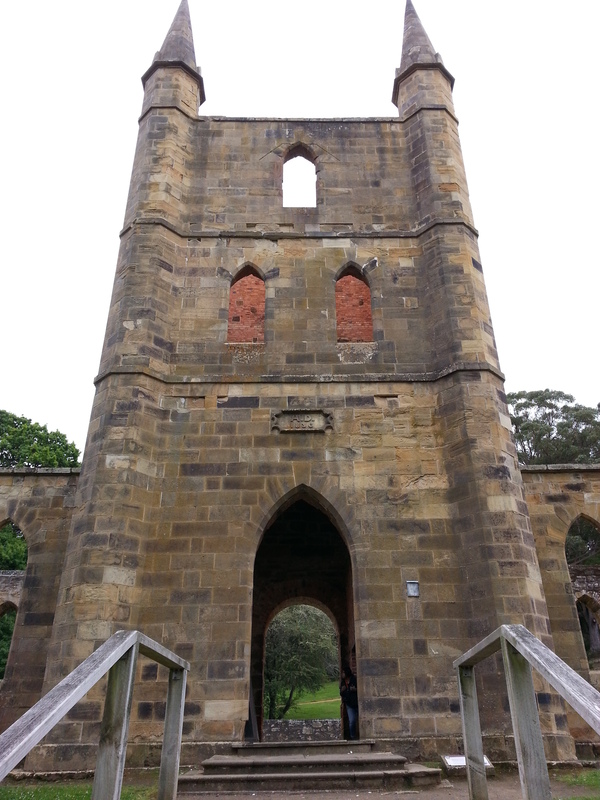 This building was only used occasionally to house very important visitors to Port Arthur. The church ruins and gardens reminded me so much of the English landscape due to the design of the building and the trees and plants which are in abundance. The oak trees in particular are truly magnificent. It was certainly easy to imagine looking down from the cottages and watching men playing cricket on the village green below. From Port Arthur I headed to the Coal Mines Historic Site, another of the World Heritage Convict Sites. Various buildings are still visible as you follow the path through the trees, from the barrack blocks to the enormous hole in the ground which was once the main mine shaft. Although the mines are no longer open, having long since collapsed or flooded, there is enough above ground to give a real sense of the convicts lives and what they would have had to endure in their struggle to stay alive. There are also signs of the coal that brought them here scattered across the paths. I have mentioned a number of times about the solitary confinement cells which were used as a punishment against prisoners, but at the Coal Mines they managed to add an extra element of fear and terror to the already terrible experience; the cells were under ground!! So not only was there no light, sound or fresh air, there was the added terror of knowing you had actually been buried alive. 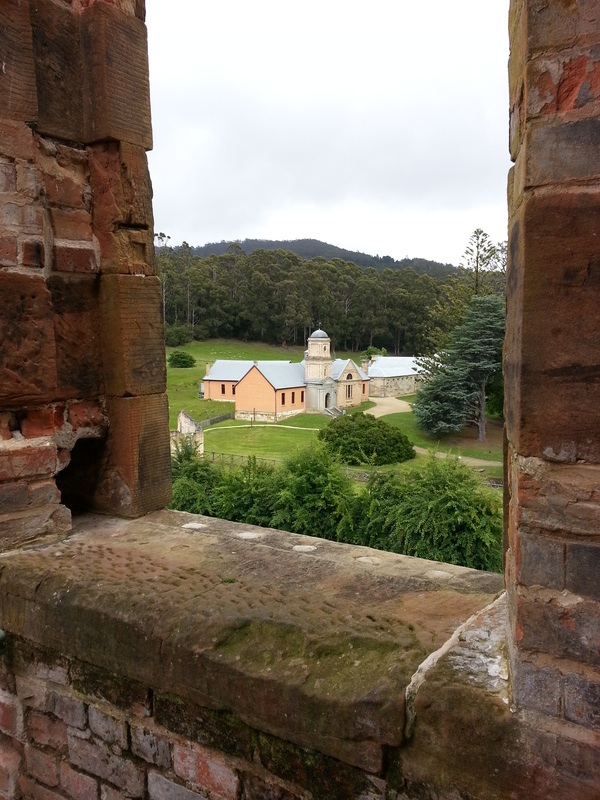 As I said before, this trip was primarily about visiting Port Arthur, the world heritage convict site. I have seen the site on the television and read some articles but nothing was to prepare me for the magnificence of the place. Stuck out on a peninsular of its own, when you look at the location on a map it is easy to see why it was chosen, but think back 150 years when roads didn’t exist and it becomes clear just how remote it was. Thanks to the owner of the motel where I was staying I had a more scenic route than I would probably have taken had I simply looked at a map, which took me out through Brighton and the vine yards, through the historic town of Richmond , Sorell and then a further 70 km to Port Arthur. 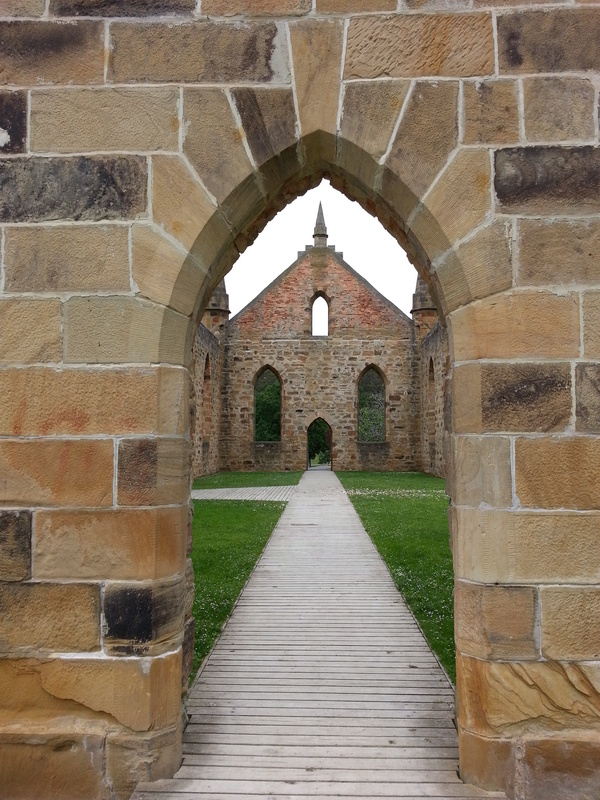 My first impressions of Port Arthur was the peace and tranquility of the place. Surrounded on three sides by hills, which in their prime would have been thick with trees, and on the fourth by water. The large open grass lawns with the imposing stone penitentiary building to one side reminded me very much of the abandoned and derelict monastery buildings you find in the UK, places such as Fountains Abbey in Yorkshire. As with the Abbeys of years gone by, the Port Arthur site was chosen because of what the landscape would offer the settlers. In this case it was initially the abundance of timber in the surrounding forests, but also the safe harbour for shipping and the security the location would provide. Convicts were shipped from Hobart to harvest the trees and to work in the timber yard, only later was the site primarily a prison. It is not my intention to write a history of Port Arthur, there are far better places to look for that, I want to just give my impression of the place and a few of my specific experiences. There are many buildings on the site in varying conditions from ruins to complete, fully restored structures. The first two I explored were the Separate Prison and the new Asylum. Map of the Port Arthur historic site. These are amazing structures that were constructed for very different reasons. The Separate Prison was based on the state of the art design of Pentonville Prison in London. It has a central atrium with three cell blocks and the chapel extending out from it like the spokes of a wheel. Between the wings were the exercise yard and punishment yards. As it’s name suggests, this building was separate from the main penitentiary housing the prisoners in solitary confinement. These were considered the worst of the convicts; those who had persistently re-offended, committed the worst of crimes or repeatedly tried to escape. Both men and women could be held, although generally in separate wings. Prisoners were held in solitary confinement. Solitary confinement meant exactly that. You would be held in a single cell, in complete silence and often in complete darkness. Any time you left your cell, for exercise or chapel, you would have to ware a cap which had a peak and a flap of cloth that came down and covered your face. By this means your were anonymous and permanently alone. The chapel pews also ensured confinement, with each prisoner seated in his own screened area. A cleaver combinations of panels and doors meant that prisoners could come and go without seeing anybody and also take off their masks during the service and only see the priest and two guards who would be standing at the front. As always silence, with the exception of the sermon. The Asylum was constructed as the number of inmates with mental health issues continued to grow. As stated during the tour, it was unclear whether the numbers were just a natural event or as a result of the punishments handed out within the penal system. It certainly seemed ironic that the harsh Separate Prison was built so close the the hospital needed to treat some of it’s former inmates. After Port Arthur ceased to be a prison many of the residence of the asylum remained as they simply had nowhere else to go having become completely institutionalised. Later after Port Arthur became the settlement of Carnarvon, the Asylum was used as the council offices as well as the local school. 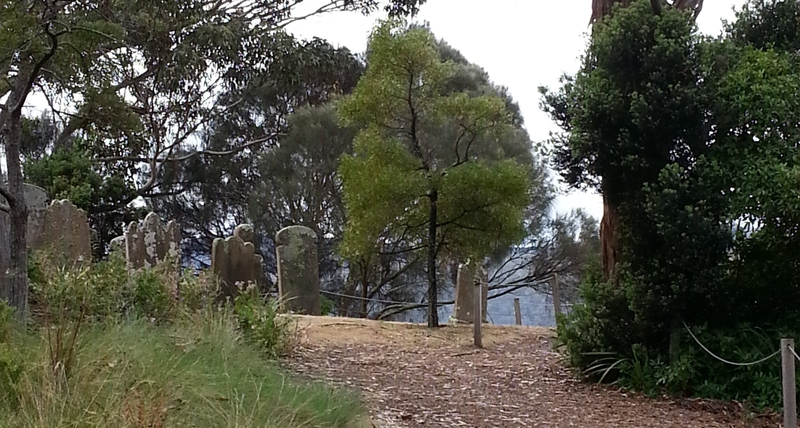 Out in the bay is a small island called the Island of the Dead, between 1833 and 1877 this was Port Arthur’s cemetery. A 20 minute boat trip around the harbour is included within the entry fee to the historic site. There are two stops on this tour, one is to Point Puer Boy’s Prison, the worlds very first prison dedicated to the incarceration and punishment of boys, and the other is the Island of the Dead. Walking tours of these locations are available at additional fees, which is the only way you get to visit them. I took the Island of the Dead tour which I would highly recommend. It was identified very early on in the history of Port Arthur that a site was needed for the interment of the settlements dead. The island was selected as it was well protected and remote. It was probably also chosen as it had no other use and meant that the dead would never be disturbed by the activities on the main land. 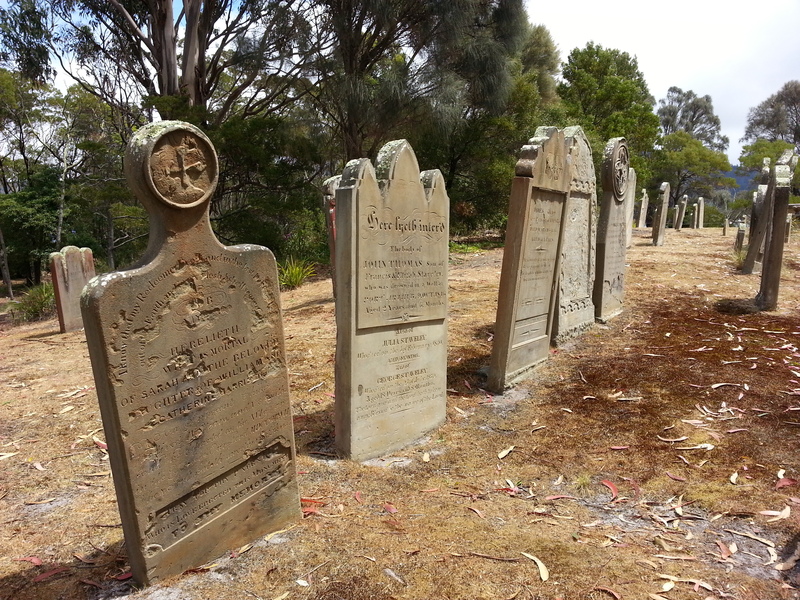 Convicts, military and freemen were all buried on the island. Convicts were interned on the low ground with no grave markers while the free were on the higher ground often with headstone or other monuments to record and commemoration their lives. The actual number of people buried on the island is unknown, it is thought to be in the region of 1100, the names of many will never be known where as the stories of others have been documented and passed down through history. Dotted around the historic site are a series of incredibly well preserved buildings which give a clear insight into the lives of those that ran the colony and later made the settlement their homes. Many of the building are open to the public so that you can step over the threshold and back through history. Having spent the day exploring Port Arthur it had become clear that a single day simply wasn’t going to be enough. Entry allows for a two day visit and so I decided to head out and take a slow drive back to the hotel stopping to enjoy the views on the way and then come back for a second visit tomorrow. Previously I described how Port Arthur had been built on a peninsular with natural boundaries being used to ensure that convicts didn’t escape. Their choice was to swim, which most couldn’t, or take their chances out in the forests where the snakes, spiders and other predators would ensure that their fortunes would be limited. 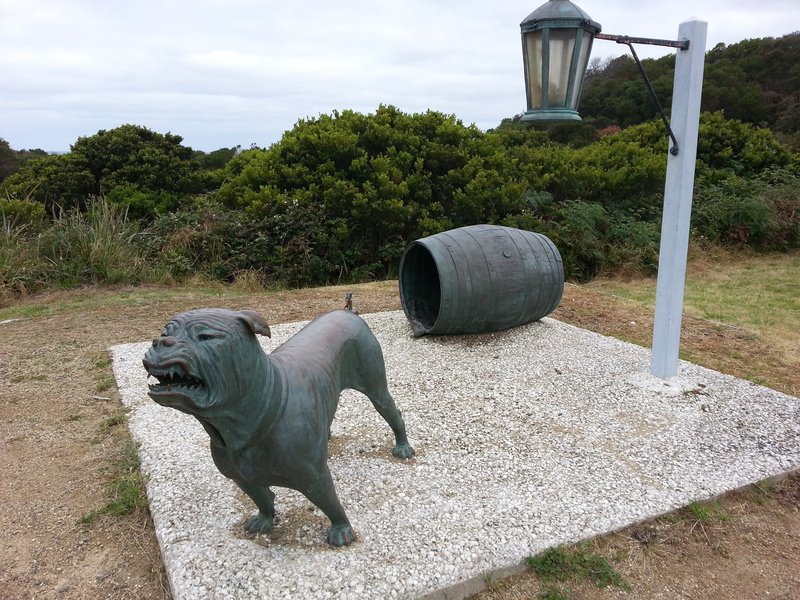 If you did manage to get away from the prison there is only a very narrow stretch of land which connects the peninsular to the main land of Tasmania at Eaglehawk Neck and so the authorities devised a method to ensure that no prisoners could get past; The Dog Line. A series of posts were erected in a line across the land, several were also placed in the water at each end on small man made islands, to which were chained ferocious half staved dogs which at very least would make such a noise if approached that the guards would be alerted to the threat, at worst they would attack any body who got too close. When this trip to Australia was arranged I agreed to extend it by a week on the understanding that I could take 2 days holiday which would allow me to travel a little further afield. I had a few destinations in mind but settled on my first choice, Tasmania. My time in Sydney has allowed me to feed my history habit by exploring a number of convict sites and delving into this intriguing, and relatively recent, piece of our shared past. Sites such as The Rocks and Cockatoo Island have been fascinating to wonder around as you are able to see buildings which played their part in the convict story as well as allowing your imagination to take you back to when those men, women and children would have been walking through the streets and alleys which you find yourself in today. When looking into the story of Australia’s convict past it is not possible to read too much without Port Arthur being mentioned. This penal colony was establish to hold some of the most hardened of prisoners in a location from which escape was all but impossible. With all the arrangements in place I headed out very early, 5 am! !, to get the train from North Ryde to Sydney’s domestic airport terminal. Just over an hour later I was checking in and heading for security. With only a small bag containing everything I needed for my four day trip I was through and waiting at the gate in no time at all; via a much needed coffee stop. 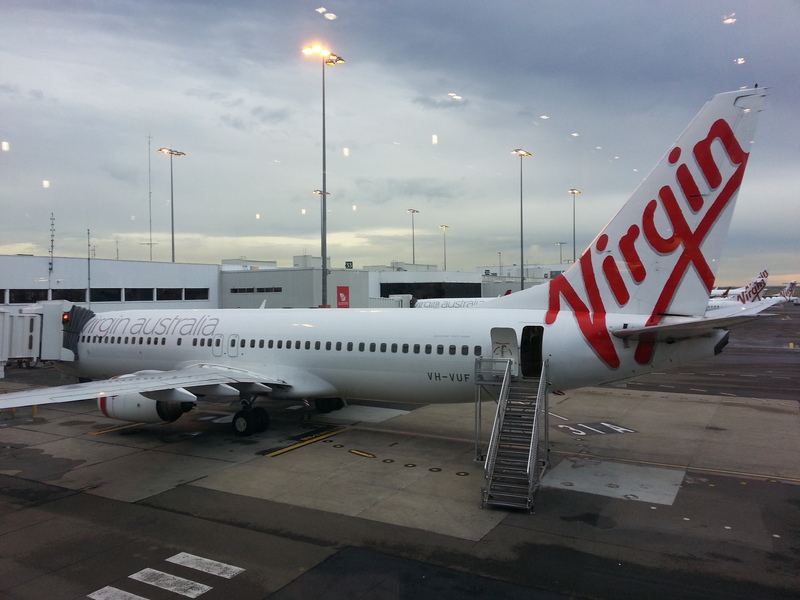 The Virgin Australia flight went without a hitch and we touched down in Hobart right on time. I must say this was probably the best “low cost” flight I have ever had! As I walked off the plane the chill was a bit of a shock. Obviously nothing like it is at home at the moment, but 10 degrees when you have got used to 30 is a shock! I had been warned that it was colder in Tasmania so had my hoodie with me, thankfully. The next shock was when I picked up my hire car. $3500 insurance excess on a car that couldn’t have been worth much more! Certainly makes you think about your driving. From the airport I headed into the city centre to have a look around. It didn’t take long to drive right through and out the other side! Hobart is not a big town. I drove back through the narrow lanes of Battery Point which is one of the oldest and best preserved parts of Hobart. You get a real feel of what life must have been in times gone by. Unfortunately the weather and early start combined to persuade me not to go for a walk as the hills were very steep and I wasn’t too sure I had the energy. In stead I made my way into Salamanca Place; eventually finding a parking space I got out the car to stretch my legs. While out I checked the location of the hotel I had booked and found it to be a little further out of town than I had expected so decided it was probably time to head there. 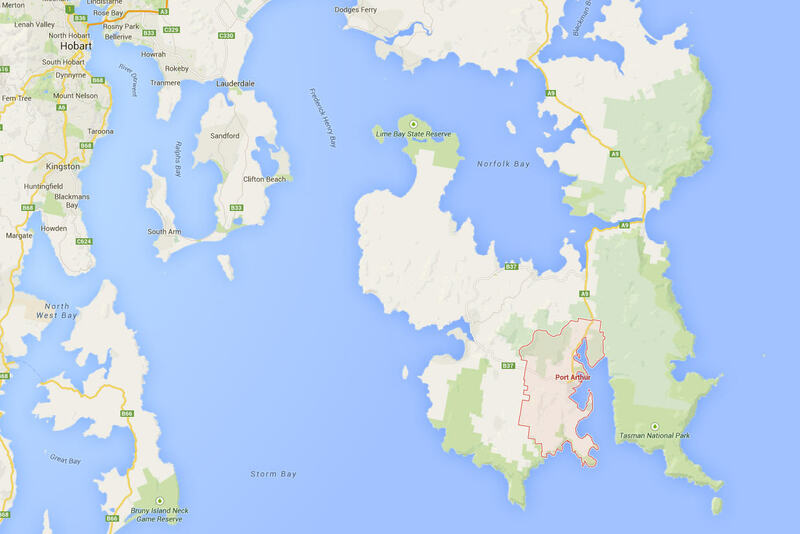 I was staying in a small town up the Derwent Valley from Hobart called New Norfolk. 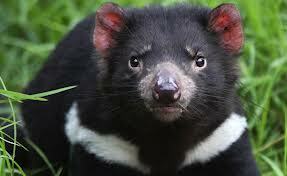 As I was to find out a very interesting town with a fascinating history …..
<< A real Tasmanian Devil. There are plenty of websites if you would like more information. 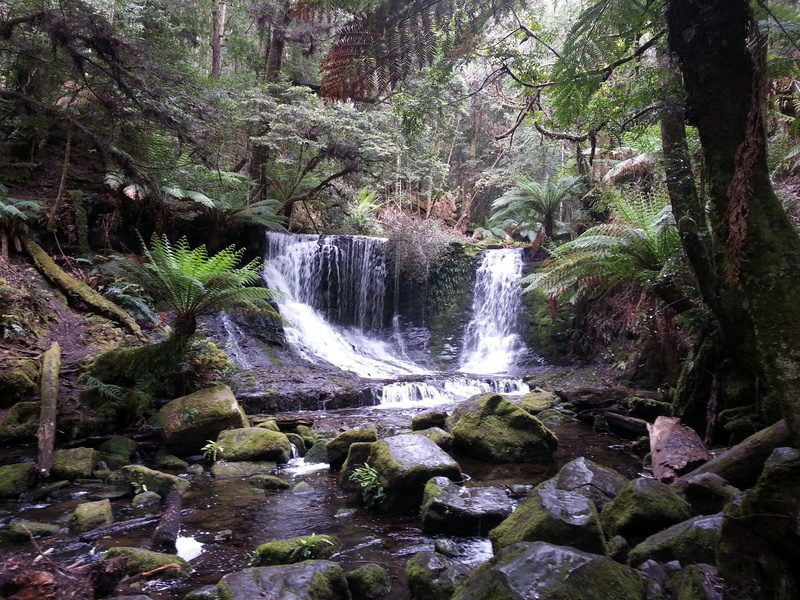 The Tasmanian Devil Conservation Park was one project I passed during my visit. Well dear reader I am sure that by now you must be truly fed up with me bleating on about my adventures down under, particularly as it is now summer here and very much winter back home. That said we have had more than our fair share of rain and some spectacular storms. On my first Saturday back I went into Sydney to do a little shopping and sight seeing. Clearly Christmas had arrived as there were trees and decorations everywhere. I have never experienced a summer Christmas before and it certainly feels strange to hear people talking about summer, 30 degree temperatures, decorations and Christmas trees! 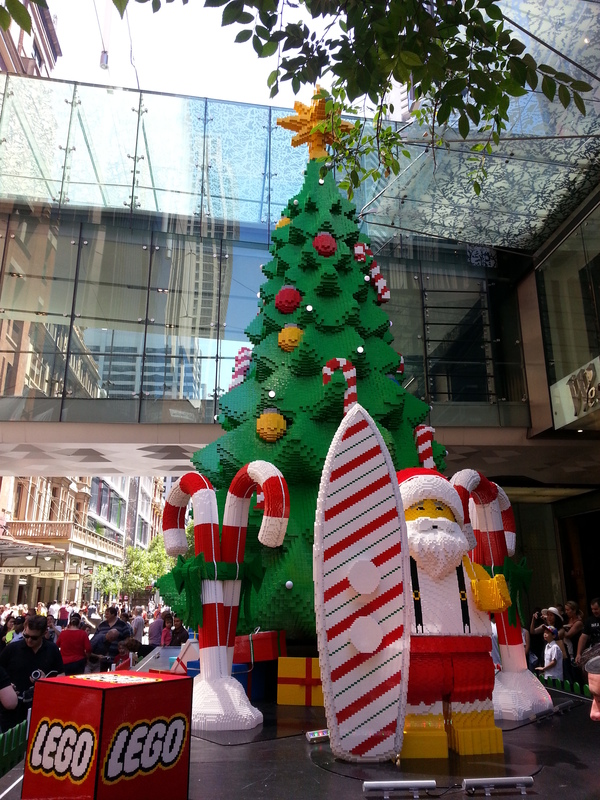 The best tree I have seen so far has to be the one made of Lego, just outside the Westfield shopping center on George Street. Although good to be back, the heat was a bit of a struggle so back to the hotel air conditioning for me. With energy in short supply, after a lazy morning, I jumped in the car. With no real idea where I was heading I decided to go to the Macquarie Shopping Centre for a few bits I needed from Woolworths and then I headed north away from the city. After about half an hour of just taking what ever road I thought looked best I saw a sign for Wisemans Ferry. Now I am still not too sure why the name rung a bell for me, but no matter, it did so I followed the sign. What a good decision if I do say so myself. For the next couple of hours, I generally don’t take too much notice of time at the weekends, I meandered through open country, woodland and valleys. At one point I stopped to have a look at Mill Creek Bridge, apparently an historic site, as well as the views up and down the river. Generally the weather hadn’t been great all day switching between sunshine and huge downpours, but at this point it was over cast but dry, however the storms were very nearby as you could hear the thunder rumbling around the valley and then the lightning would fork from the clouds and strike the ground way off in the distance. The storms here in New South Wales can certainly be spectacular! Finally arriving at Wisemans Ferry I was not disappointed, there really was a ferry and better still it was free! As I waited for the boat I checked out a sign showing a map of the river. It appeared that there were a number of free ferries across the river which ran 24 hours a day as there were no bridges available as an alternative. The ferry crosses the Hawkesbury River which I had been following for some time along the valley floor. On leaving the small town you have to take a very steep road which from the views back across the valley are truly magnificent even with the weather as it was. 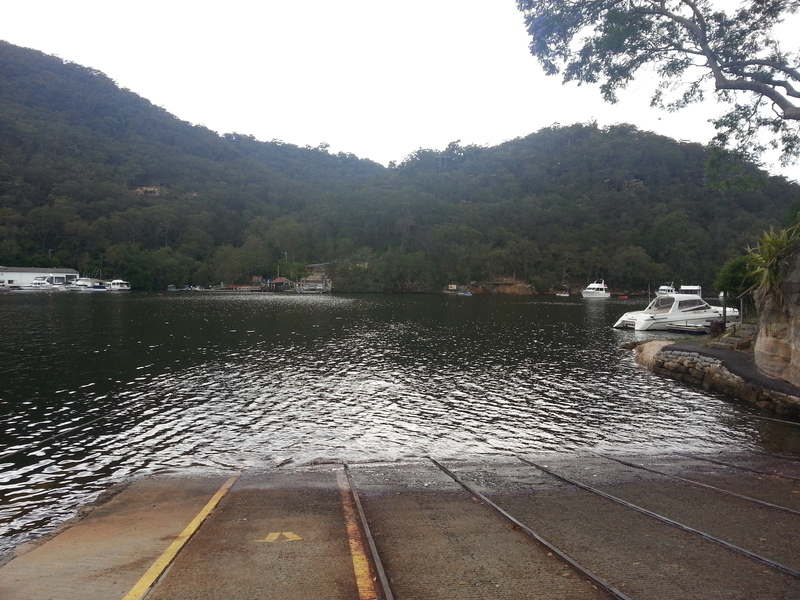 On the way back towards Sydney I decided to take what I thought would be a short cut via Berowra Waters. Not only did it take some of the time off the journey it also provided some even more spectacular views and driving. It is a steep drop down into the Berowra Creek to a small area which seemed to just about find enough space between the rocks and the water for a car park, restaurant, marina and, of course, another ferry! As you drive off the other side the road is narrow and even steeper; in consequence the views back even more spectacular. A couple of lucky choices certainly made for a great drive. A route to be revisited should time, and perhaps better weather, allow. As I arrived in Australia for my fourth and final visit of the year a tragedy was unfolding which would have a profound effect on the whole nation. Philip Hughes, a 25 year old cricketer, was playing a match at the Sydney Cricket Ground. He was at the crease ready to receive the next ball. Bowler Sean Abbott took his run up, bowled the ball and changed the lives of both players, and so many others, forever. The ball hit Philip in the neck, he turned looking dazed and then collapsed face down. Philip didn’t regain consciousness passing away 2 days later. Being here and seeing the reaction that followed those dreadful events was both unsettling and, in a way, a privilege. Cricket is Australia’s national game; the players true heroes to a large part of the population. It was as if this country stopped as it tried to make sense of what had taken place. This is cricket, how could this happen? I don’t follow cricket; it’s not my sport. 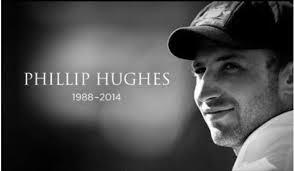 As such I didn’t know Philip Hughes. I wasn’t aware of his career, his highs and lows and the fact that it was generally accepted he was on his way back into the Australian nation team. But what has become clear since his death was the incredible affection the cricket world had for this guy. On the evening news of his death broke a presenter was talking about Philip with the stations senior cricket correspondent. This was a man who had clearly been about and seen many events in his life, but on this occasion he could barely contain his emotions as he discussed the events and the man himself. Several times his voice cracked. #putoutyourbat was trending as people all over the world paid tribute by placing their cricket bats outside their houses, clubs, schools. Other sports showed their respects; a minutes applause took place prior to the England v Australia Rugby match at Twickenham. Philips funeral took place at his home town of Macksville, a rural community in North East New South Wales. The streets were lined with hundreds of people who, as the coffin went passed stepped in behind it and walked to the towns school for the service. It appeared that the whole town had come out to say farewell to the local hero who had made good and to show support for the family left to try and come to terms with their loss.